A proven executive with 17 years of experience as a leader in non-profit education and 13 years in marketing, Paul Lamoureux has a record of growing mission-driven non-profits in both revenue and in impact. Paul has also developed youth programs that have demonstrated evidence of success, have garnered national attention, are widely emulated and have expanded educational opportunities for thousands of under-served youth. 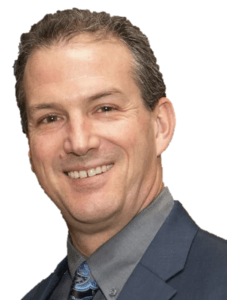 Mr. Lamoureux joined Read to a Child as its CEO in May 2015 and under his leadership the organization has grown to record highs for four consecutive years in both the number of students served and in revenue. During this time frame, Read to a Child grew its number of students served by 29% and its revenue by 23%. Prior to joining Read to a Child, Paul spent nearly a decade as Vice President of Programs and Program Director at Thompson Island Outward Bound Education Center (TIOBEC) in Boston. At TIOBEC, Lamoureux developed the cutting-edge “Connections” experiential learning programs that have garnered national attention and served more than 24,000 youth between 2009 and 2014. Lamoureux also worked closely with administrators from Boston Public Schools, funders from the Opportunity Agenda and staff from Boston After School and Beyond (BASB) to adapt the “Connections” program and help pioneer summer learning efforts in Boston. Beginning in 2010 on Thompson Island and four other sites, the summer learning program has now expanded to serve thousands of students at hundreds of sites across greater Boston. A graduate of the College of Holy Cross, Paul’s passion is to provide young people with access to meaningful and enriching educational opportunities that will best prepare them for success in life. Paul is also passionate about spending time in the outdoors. An empty nester, he lives in the woods of Massachusetts north shore with his wife Lauren and Border collie Aries. His favorite children’s book is ‘Green Eggs and Ham’ by Dr. Seuss.